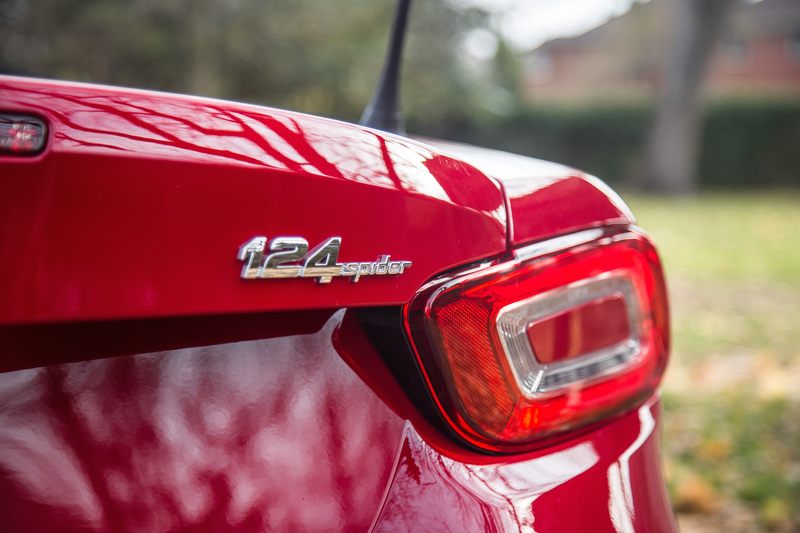 So we’ve driven the Fiat 124 Spider in its mid-level Lusso trim. What about the range-topping Abarth? Will it be a mini-Ferrari roadster, just as the buzzy dramaful 500 Abarth was? 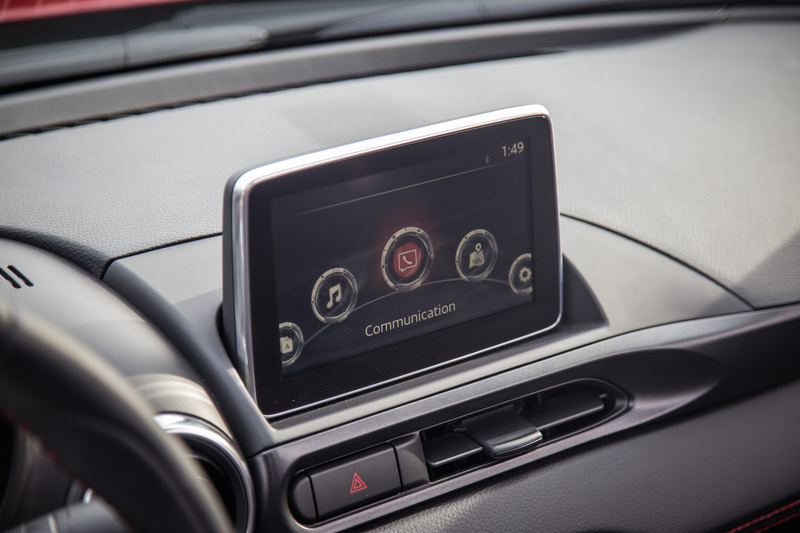 Well Fiat says the 124 Abarth offers a more responsive and sportier driving experience for performance enthusiasts, and they are offering quite a lot on the table. It wasn’t just a simple badge swap with a few scorpion logos here and there. They’ve done some proper tweaks. For an extra $1,500 over the Lusso trim (Classica is the base model), the 124 Abarth gets a unique front and rear fascia with gun metal accents and black side sills and skirts. 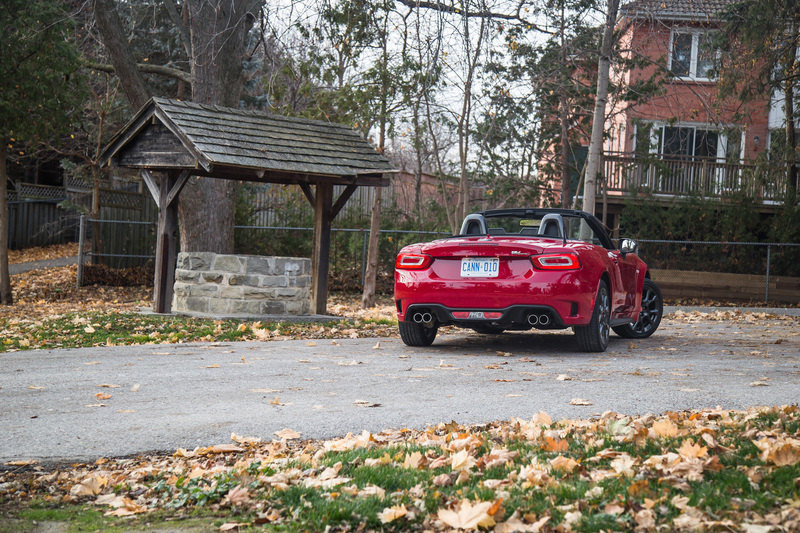 The 17-inch wheels are also unique, as are the sinister quad exhaust tips, the latter of which make the 124 Spider look ten times more aggressive than the Mazda MX-5. You can spec your Abarth out to have a matte black hood and trunklid for that extra bit of character too – our tester wasn’t fitted with that option unfortunately. It had late availability. All these exterior spices seem worth the premium to me though, and we haven’t even got to the main menu yet. 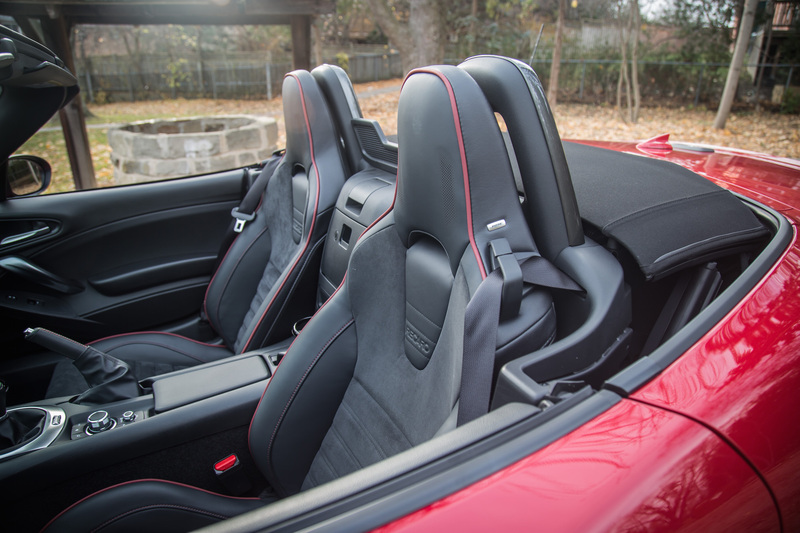 Inside follows a similar sporting approach, with Recaro Alcantara/leather seats and a new Sport Mode selector located just under the gear shifter that lessens traction intervention and lets the Spider roam free in the wild. 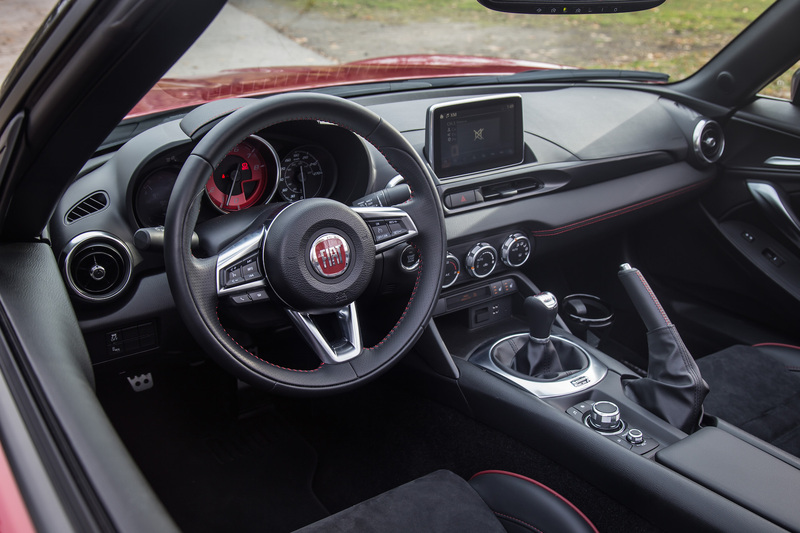 Oddly enough, the badge in the center of the steering wheel hasn't been replaced with Abarth's scorpion logo like it is in the 500. 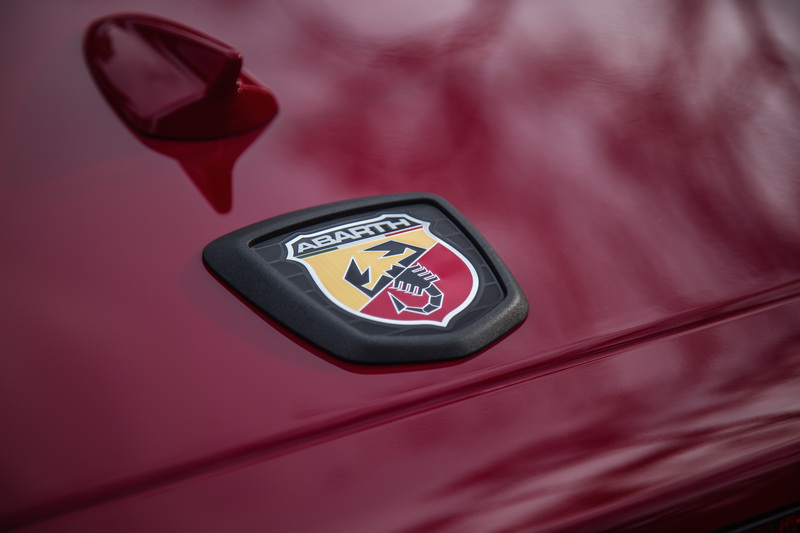 Petty matters aside, the real news is what lies underneath the skin of the Abarth. It gets a front and rear Bilstein sport suspension for more body control, a front strut tower bar for better rigidity, an upgraded exhaust for better airflow, the brakes are now from Brembo for strong stopping power, and last but not least, it gets a mechanical limited-slip differential (LSD) for better traction around corners. Power from the 1.4-litre turbocharged MultiAir inline-four (same engine in the 500 Abarth) also gets bumped up marginally by 4 hp, up to a total of 164 hp and an unchanged 184 lb-ft of torque. 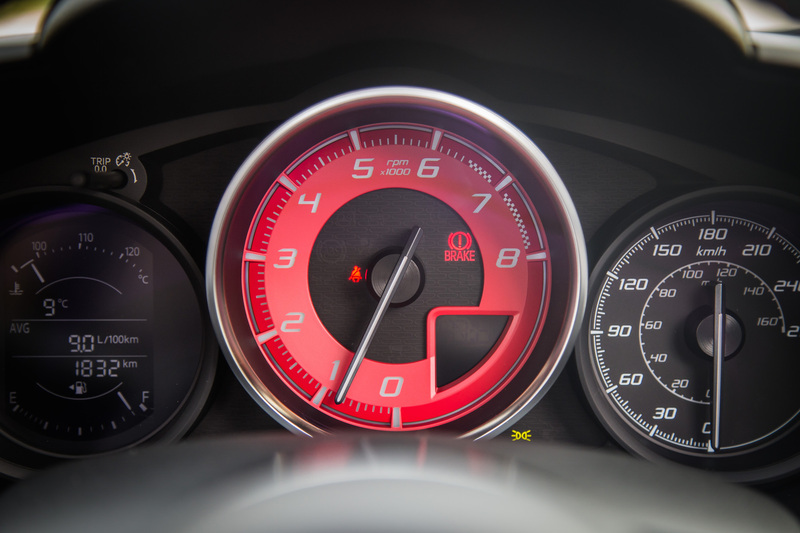 Peak torque also comes a bit later in the RPM range, giving the Abarth a larger lung capacity. 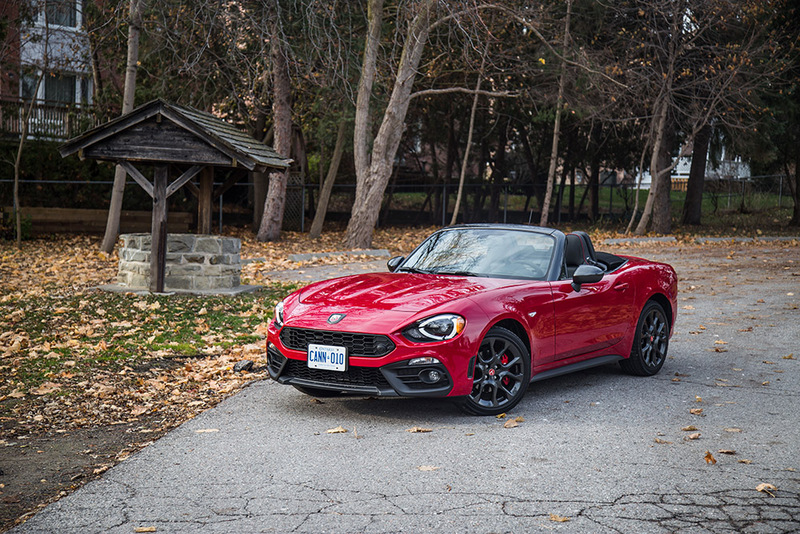 The same complaints of turbo lag from the 124 Spider remain with the Abarth. At low revs there isn’t much juice flowing, but keep the revs in the mid-range sweet spot and you will be singing its praises. 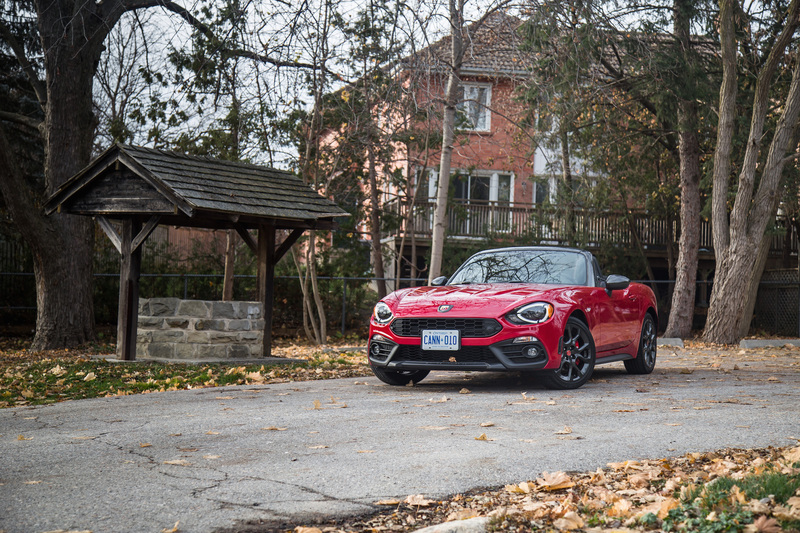 We didn’t notice much difference with the mild horsepower bump, but the surge of torque when the turbos finally spool undeniably gets this Abarth moving up to speed with athleticism and grace that is rarely found in any modern day roadsters, except for its MX-5 cousin. Turbocharging an engine can make the front end of a car quite heavy. 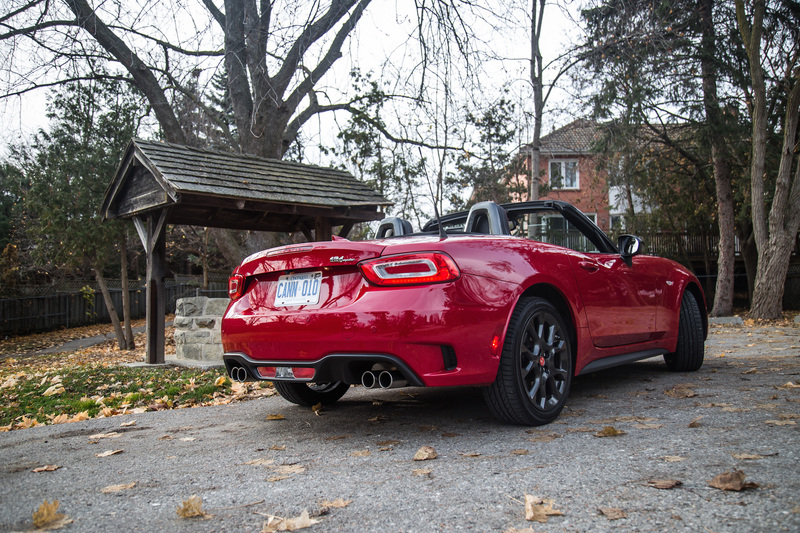 I’ve noticed this in the regular production 124 Spider, but it feels more pronounced in the Abarth for some reason. Turning the wheel is met with a pause, as the weight hesitates to shift. The front nose doesn’t seem very eager to point until you really pedal down and steer hard, and by that point your skin is already flustered with goosebumps. But when the inertia is overcome and the body starts dancing, the Abarth does its best Italian impression of the Tango. It’s maneuverable, it’s tossable, and it’s malleable to your inputs. While I would argue that having an LSD in real-world driving does not make too big of a difference, it pays dividends when trying to lay down power during spirited runs on road or track. 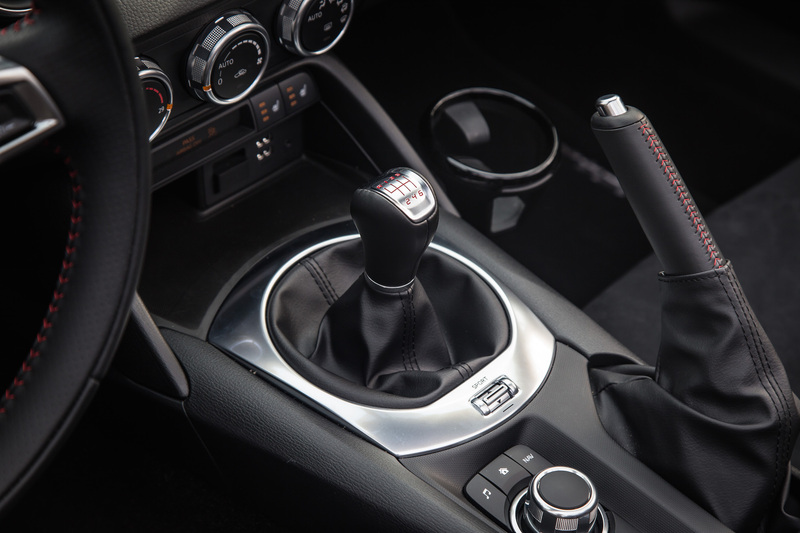 Powering out of corners in the Abarth is much easier with the LSD, and off-the-line traction appears fractionally better as well as torque gets evenly distributed to both rear wheels. 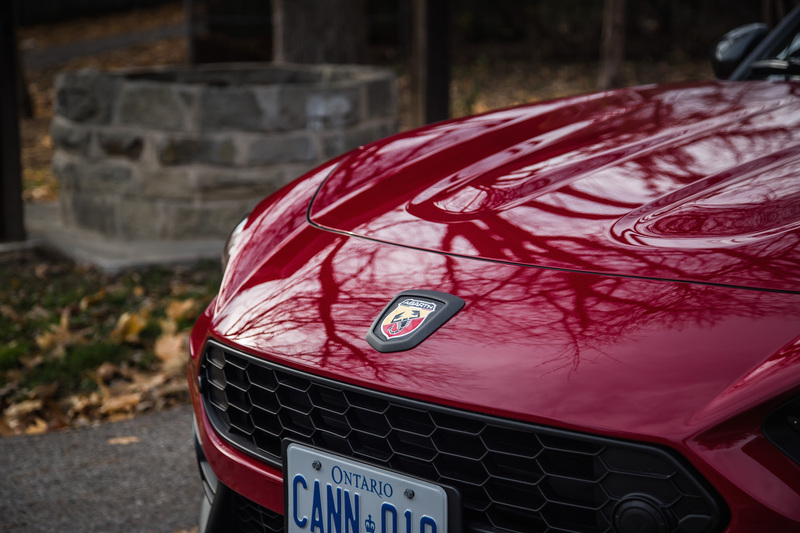 The Abarth’s exhaust, though upgraded, isn’t as loud as the 500 Abarth’s, because the latter is straight piped, meaning there’s no actual muffler to obstruct the sound. Don’t get me wrong, the 124 Abarth sounds great. It is a noticeable step up from the Lusso and Classica models, but it isn’t as exhilarating as I’d hope it’d be. 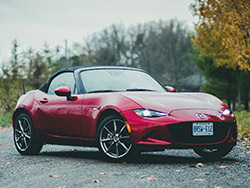 It sounds just like a MX-5 to be honest – just as high-strung but with a little more intake and turbo spooling noise. 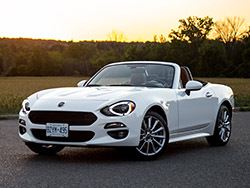 It is what the 124 Spider should have sounded like in the first place, but I do understand that Fiat was trying to keep lower trims of the Spider a little more reserved, quiet, and with a bit of a GT character. 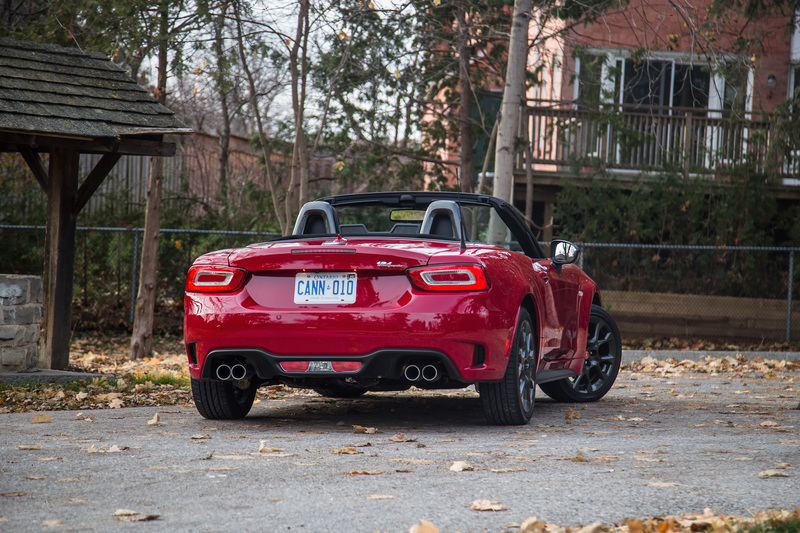 Be that as it may, and as we have stated before, there’s nothing that an aftermarket Mopar exhaust cannot fix. 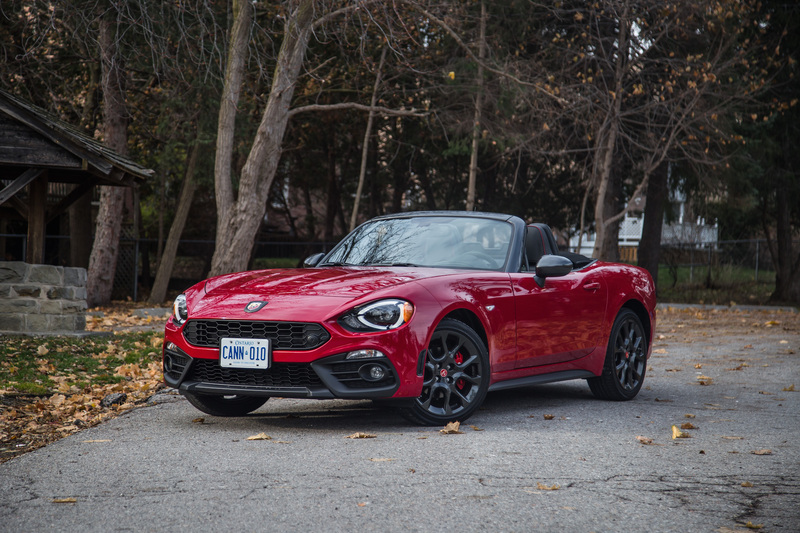 Some may think that the 124 Abarth is more bark than bite, but I think Fiat has done a phenomenal job fine-tuning the almost GT-like Spider into a sportier and track-capable roadster with a superior sense of purpose. 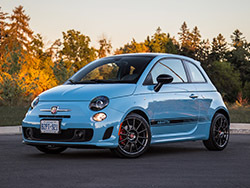 The louder exhaust and more aggressive sheetmetal make it easy to justify the jump into the Abarth trim, especially when it only commands a $1,500 premium. Though the upgrades may look trivial on paper, on road and track, this Italian roadster finally gets a tail ready to sting.